Want more out of life? Get ready to thrive! I’m a holistic health practitioner who helps people to overcome a variety of challenges such as stress & anxiety, fears & phobias, weight control, cravings and addictions, chronic pain, confidence & self-esteem. I love what I do and have seen the most amazing changes in people’s lives. In a session I help you shift perspective from the problem to a possible solution. We explore a variety of positive approaches to overcome obstacles and make lasting changes. Often important life lessons are learnt as a result which help the client to move on. The sessions are goal-and future orientated, we focus on what is possible and changeable, we take small but consistent steps towards the desired outcome and we measure progress in every session. Sandy is so lovely and authentic . She’s coming from such a genuine caring place. 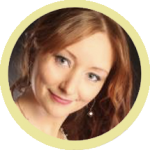 She has a great ability to combine her EFT, Solution Focused Psychotherapy and Hypnotherapy to personalise the session specifically for the client and for their needs. I couldn’t ask for anyone better to go to and see when faced with one of life’s challenges. You will be warmly greeted by one of life’s Angels. I have found my sessions with Sandy to be so valuable for the maintenance of my mental health. Suffering from depression and anxiety, I found the combination of techniques from EFT to Reiki amazing. Sandy, has a brilliant approach which is calming, kind, understanding, good humoured – as well as professional. I have had several ‘wow’ moments in sessions which have led to better clarity. I cannot recommend Sandy enough. Sandy really helped me move on from a traumatic experience in my life. Somewhere I didn’t really want to re-visit as I thought it would be painful and difficult. I was amazed how easy it was to let go of as Sandy coached me effortlessly through enabling me to release a block that had been there for some time. Thank you, I’m truly grateful.